Technical Tip: Make sure you connect the right plugs when installing as there not coded. All A06B-6093-H112 Fanuc Drives carry a warranty and have been tested by us. We can offer same day and next day delivery through most of UK / Europe and some parts of the USA. 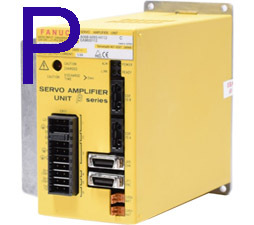 Type SVU20 FSSB Interface Fanuc Beta Amplifier Unit, input voltage 220-240 volts, axis rated at 5.9 amps, internal boards are A20B-2002-0641 and A20B-2100-0133. Options to buy are Service exchange, or Repairs on this A06B6093H112 Fanuc Beta Servo Amplifier in stock for same or next day delivery.